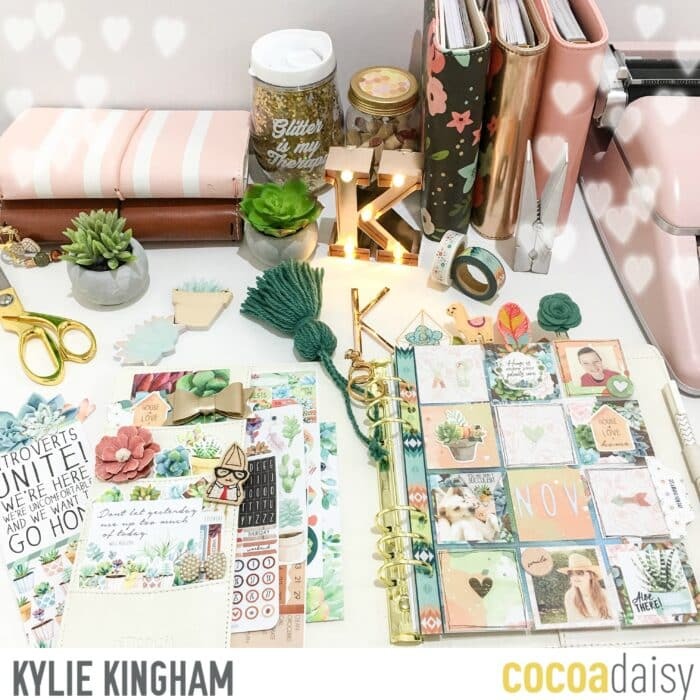 Pocket Pages with Planning.~ A guide with Kylie. 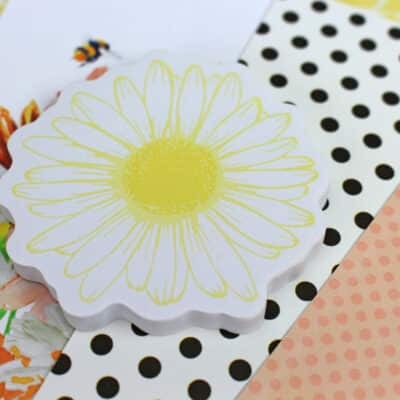 Hello sweet Daisies! How is your November? Can you believe it is even November? I blinked and 2017 has disappeared all too quickly. 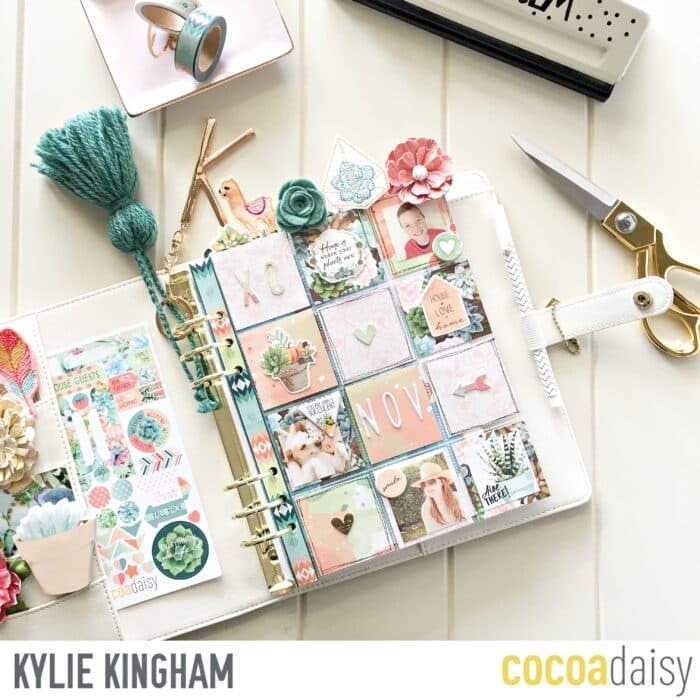 Today I am sharing how I include some pocket pages in with my monthly planning.This is an increasing trend I have seen within the planner community and it opens up a whole new world of creative AND practical possibilities for your planner. 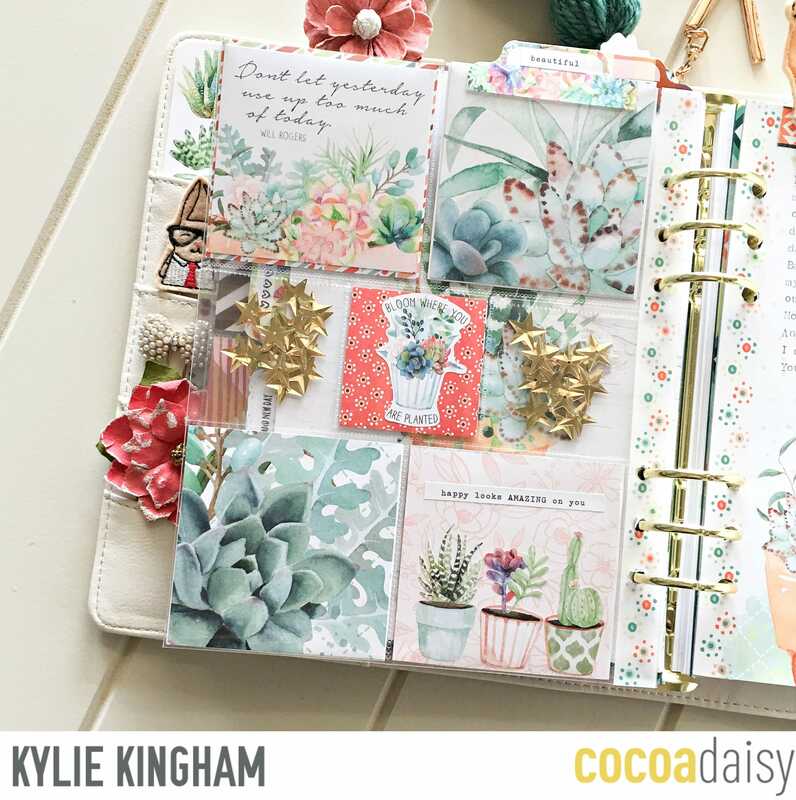 Here is a little look at some of my September pocket pages to show you firstly…….. Here I have incorporated the pocket page, sort of as a patchwork divider you could say with a few favourite quotes from the month.I loved the colour and elements it added to my planner. For my November pocket pages, I have included some photos as well for Memory Keeping purposes. So let me share with you my process for adding these to my planner. 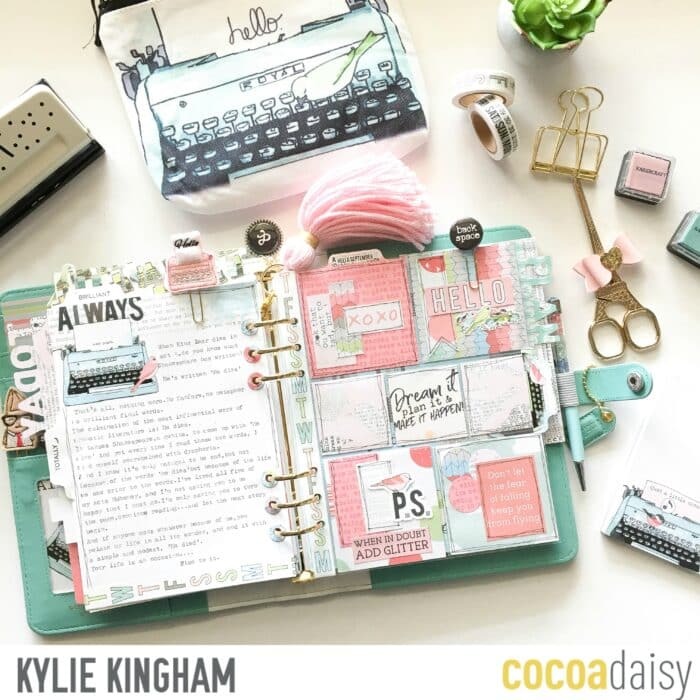 Firstly, I want to add that I use an A5 planner, but that doesn’t mean you can’t add pocket pages to your Standard planner or TN’s. 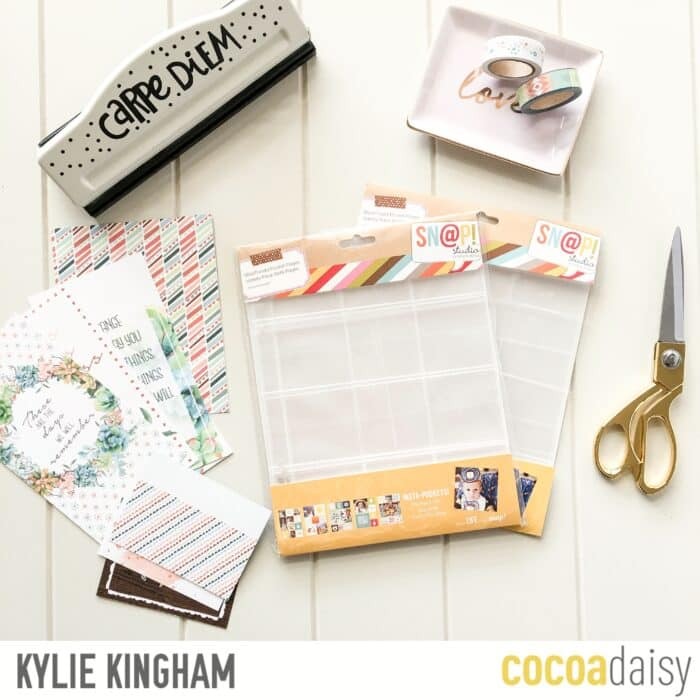 You could use pocket pages such as the Heidi Swapp planner pocket pages I believe these could be added to your Dori with washi tape OR to your personal planner using the same technique I am about to show you.You could even create your own pocket pages using a fuse tool. OK…. So the pocket pages I use for my A5 are made by Simple Stories.They are the Snap Studio Insta Pocket Pages and a great fit for the A5.They are a tiny bit wider, but that really doesn’t bother me.I usually buy the variety pack so that I get lots of different layouts to choose from. 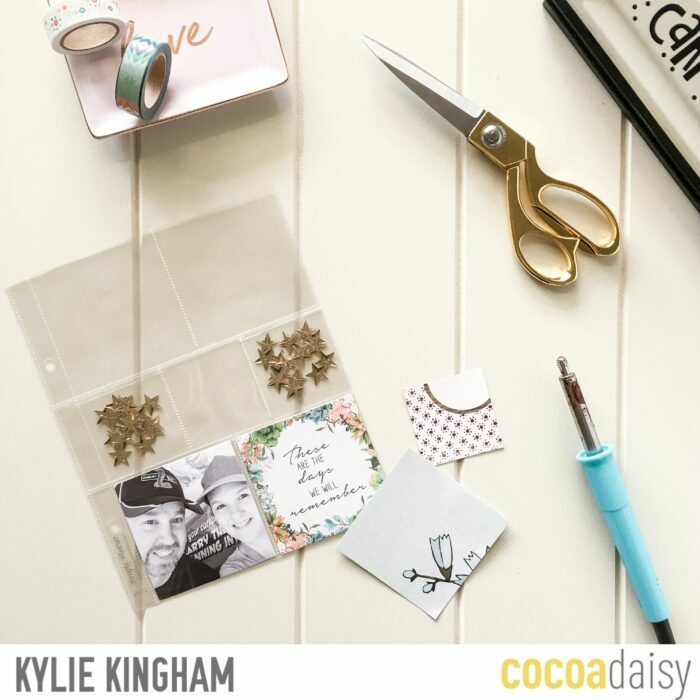 Next I usually create a template for my pocket sizes from scrap paper.This is easy to do and will make it so much faster to cut your papers and photo’s that you wish to add. Once all the pockets are filled (front and back), you need to repunch the holes for your rings. There are only 2 holes on these pages, so we need to add some more to fit our planner. 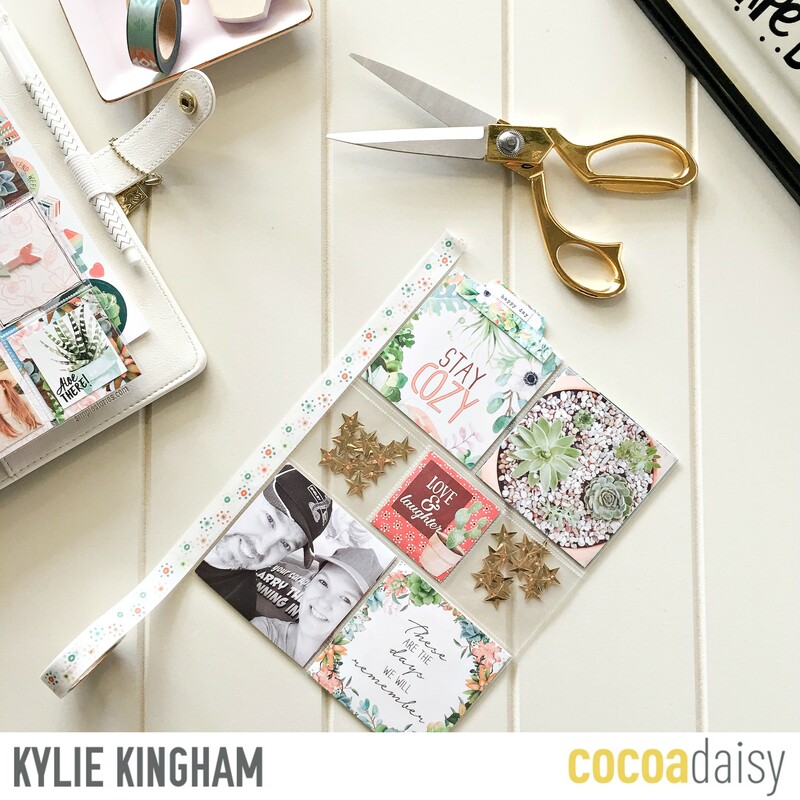 I run washi tape down the front and back side of the holes.Not only does this look pretty but it will reinforce the plastic as well as cover up the pre-existing holes. 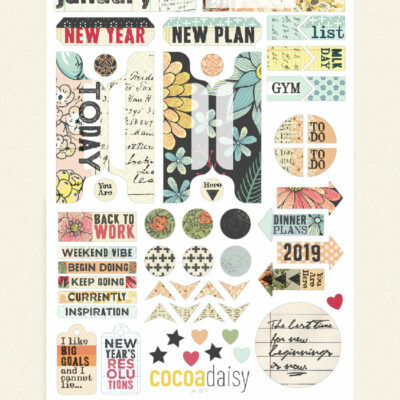 Then you need to re-punch the holes.If you don’t have a planner punch then a regular punch is fine too and you could use another dashboard or page as a guide where to punch. I love how it looks in my planner! There are SO MANY things you could add to your pockets……A mini Calendar, journalling,use as a mood board…..You are only limited by your imagination. I’ve added a tab to mine and the reverse side acts as a mood board! So there you have it. 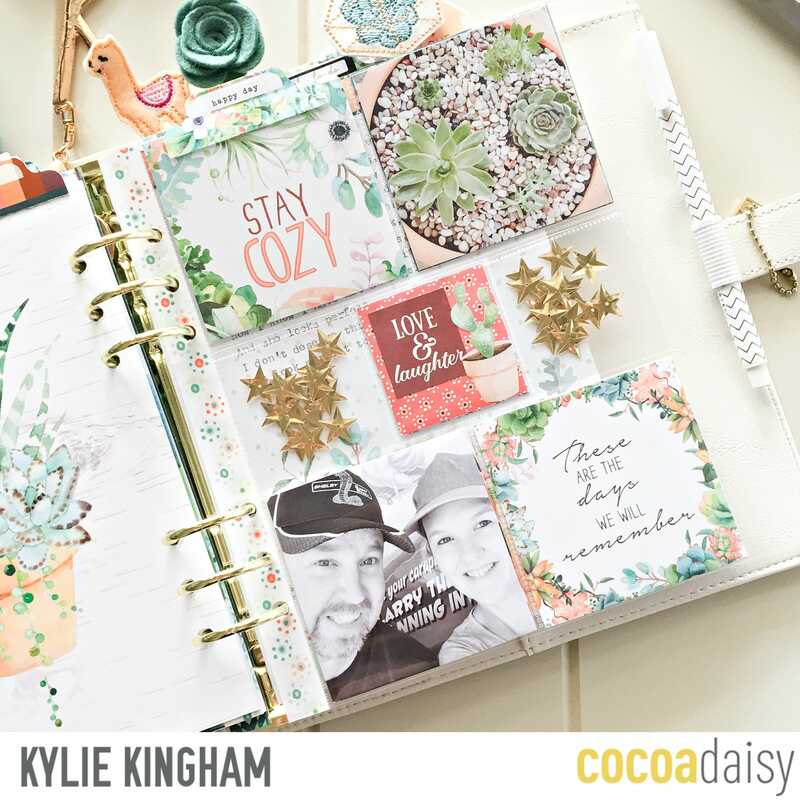 Another easy and fun technique to add an extra element to your planning.Having both the 12 x 12 Memory Keeping and the Pocket Memory Keeping kits match with the corresponding planning month means you have lots of goodies you can add to your pockets too! 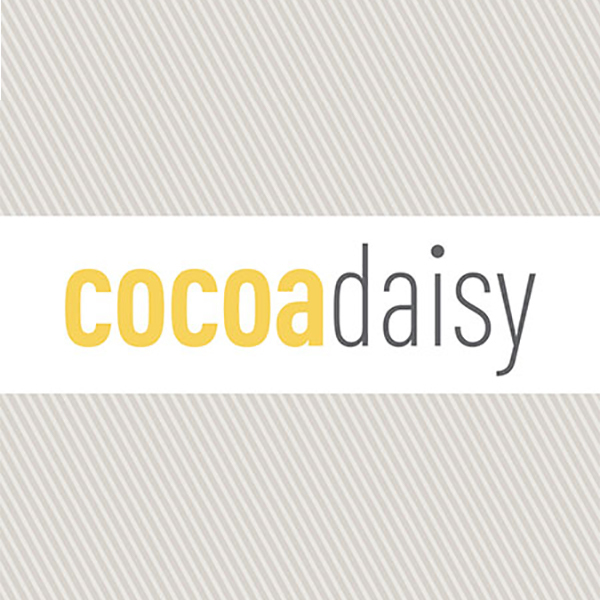 I hope you have enjoyed my project for today.Don’t forget to join the Cocoa Daisy Facebook Group and share your Cocoa Daisy planning, and be inspired by a lovely bunch! I have started combining my memory keeping and my planner into one in an A5 size and I am loving it! Your pocket pages are beautiful! Thanks for the inspiration! Thanks so much, I have so much fun creating with them! This is a beautiful page. I love the idea of mixing pics with the CD cards and paper. I plan to do the same in my A5 planner. Thanks so much for sharing. Thanks so much I’m so glad. Have fun! I love these fabulous pages!! Thank you for the great tips and beautiful inspiration!!! 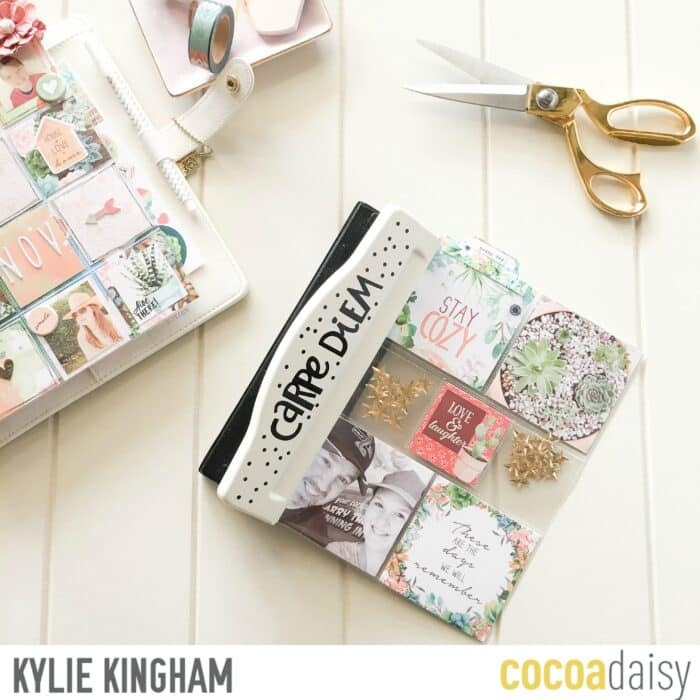 I am going to try this in my standard daisy dori! Thank you for this fun idea. I’m so glad! Make sure you share in the FB group or Instagram! 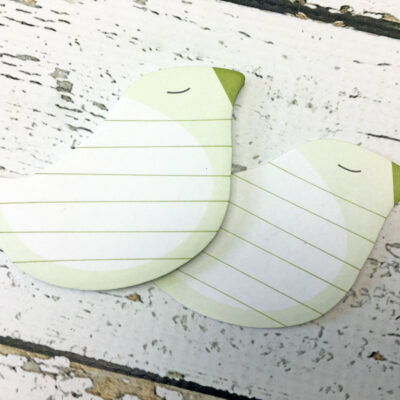 (Tag paper_sweetpea) I haven’t tried them in the Dori yet and would love to see! Have fun! Variety pack – your pocket pages are great – very lovely. 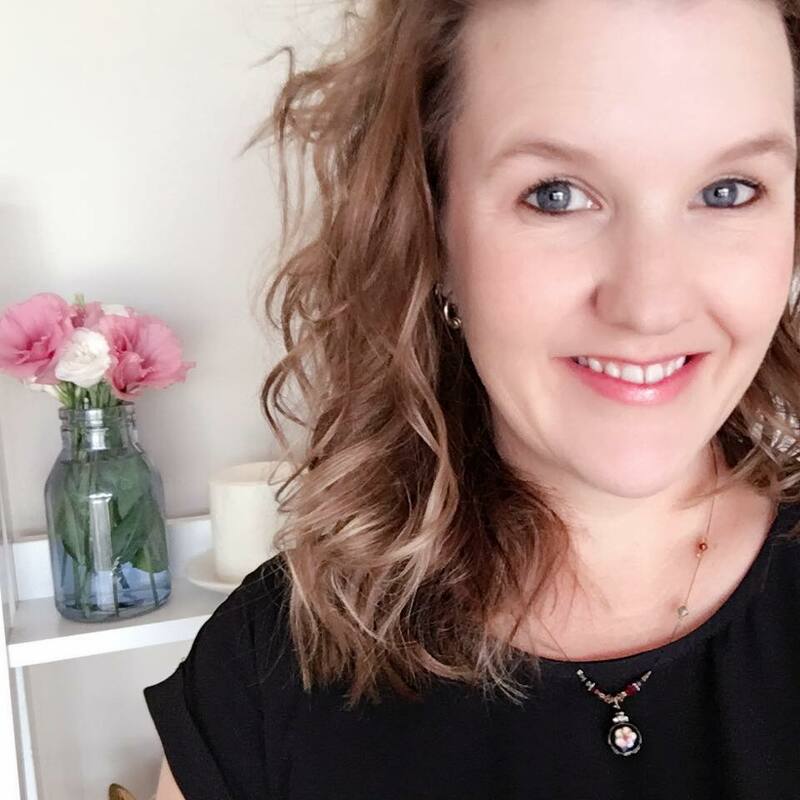 So many possibilities – Thank you so much for your blog post! I’m so glad Debbie, enjoy! I love these! I am glad you spoke how we can adapt it to personal pages because I so want to do this! You’re so welcome! Have fun! 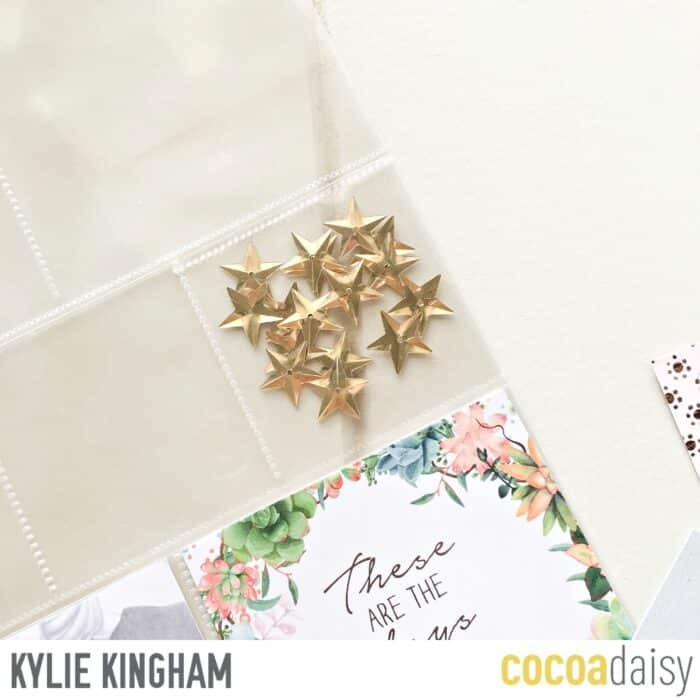 Thanks for another fabulous post, Kylie! I love all of your ideas!